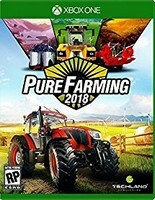 It is really sad to me that the PR and Marketing for Adam’s Venture Origins failed Family Friendly Gaming so badly. Especially after all of the efforts we went through to draw massive media attention to this game. I have played the first two episodes of Adam’s Venture on the PC. I was so happy to see a physical copy of Adam’s Venture Origins make it to the PS4, and Xbox One. 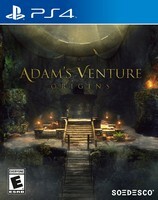 Note: there is also a physical copy of Adam’s Venture Origins on the PC. Adam’s Venture Origins is in essence a prequel episode, and then the first two episodes. Adam’s Venture Origins has to be played from start to finish. 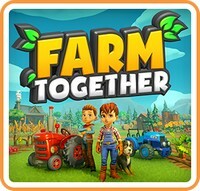 Making it a full and complete game that families can enjoy. 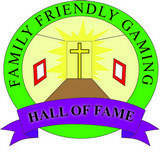 Man did we have a blast playing Adam’s Venture Origins here at Family Friendly Gaming. Think Tomb Raider without all of the shooting, and other bad content. I did some research and discovered episode three is where the prequel is found. I had not played it so I was not aware of it. So Adam’s Venture Origins is all three episodes in one really cool package. The conversations between the characters in Adam’s Venture Origins is exceptional. I loved listening to them and the jokes they tell. The Biblical references are one of the things that make Adam’s Venture Origins an instant classic. Families can also enjoy the amazing music in Adam’s Venture Origins. Time and effort were put into the creation of this awesome video game. I love how we avoid violence in Adam’s Venture Origins. Plenty of bad things can happen to our characters. In fact the main character lands on a pile of rocks after falling way too often for my tastes. Speaking of tastes, you better like puzzles. Adam’s Venture Origins can be challenging to solve. We are given vague instructions and have to figure out how to get through. The more I played the more I understood what was required of me. 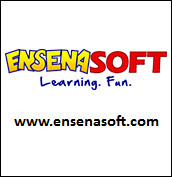 The puzzles also start easy and get progressively more challenging. I noticed some glitches in Adam’s Venture Origins. I tried to jump over a small stone wall to get to where a car was parked. My character died. I was able to stand on an open hole without falling down. I found no game breaking glitches though. There are cult images in Adam’s Venture Origins. There is also violent content around the player. I enjoyed playing Adam’s Venture Origins on the PS4.